The 7th house of the horoscope is for marital relations. Saturn in the 7th house of the birth horoscope directly impacts the married life. The influence of Saturn is commonly experienced as delayed results and obstacles. The way this impacts marital prospects is that it delays marriage. Different belief systems interpret Saturn in the 7th house in different ways. According to Saravali, when Saturn is in this position, it leads to financial losses, separation from the spouse, susceptibility towards committing adultery and an inclination to cruelty and committing mean acts. According to Phala Deepika, this placement leads to delay in marriage, extramarital relations, poverty, unhappiness and instability in life. Health issues to the spouse will also be there. Saturn in the 7th house gives a reserved disposition and makes an individual mentally inflexibly. The few friendships that are formed are emotionally important to the individual. In Vedic astrology, both Venus and Mercury are considered to be friends of Saturn. The 7th house is influenced by these planets. As they are Saturn’s friends, the influence is positive and benevolent. For men, maintaining a harmonious relationship with the spouse leads to success and riches. The impact is negative if the individual commits adultery. Also, when choosing a life partner, care must be taken to marry a person with a mature temperament. Planets can deeply influence every aspect of an individual’s life. Whether the influence will be a positive or negative one is determined by the house the planet is placed in, in the birth chart. Traditional remedies for planets enhance the positive influence of a particular planet and reduce the negative impact of a malefic planet. Remedies for Saturn in the 7th house help turn a difficult situation around by subduing the negative impact of Saturn. They can also ensure that the positive influence of Saturn is magnified. 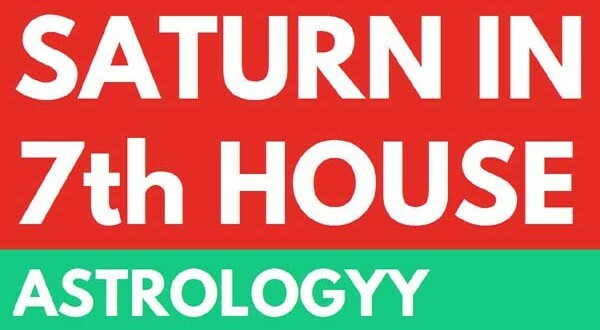 Detailed below are some time-tested remedies for Saturn in the 7th house. Fill a flute with sugar. Bury it in an isolated place. Fill a container with honey. Bury the container in a lonely place. Feed crows, buffaloes and horses on Saturdays. Donate black and blue colored clothes. Mix cooked rice with sesame seeds. Distribute this among the poor. Recite the Hanuman Chalisa. Worship lord Hanuman. Visit the Hanuman temple and the Shani temple on Saturdays. Can you please share your contact information ? One of my friend is having Saturn at 7th place ? He is IT professional. Navneet ji, I need information regarding two cases, where one is mrrd and the other is not both having vridha saturn in gemini for saggitarius lagna capricorn rashi. What is the upay? shall they wear neelam to get rid of teh mrrg related issues?